With each development in technology, our lives become more complicated. We move through our days in a blur of emails, text messages, and social networking. This non-stop stimulation has left us stressed-out and distanced from the joys of the present moment. Art therapist Lacy Mucklow and artist Angela Porter offer a simple and satisfying solution to this numbing. Featuring over 100 joyful coloring templates, Color Me Happy is a guided coloring book designed for busy adults. Organized into therapeutically-themed chapters, the book examines the benefits of putting pencil to paper and offers adults an opportunity to channel their anxiety into joyful creative accomplishment. 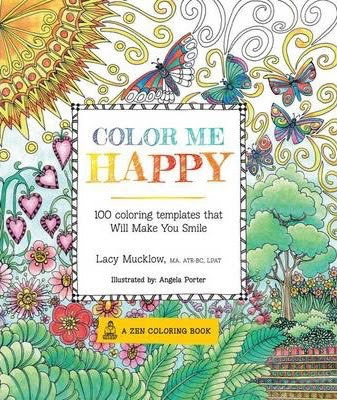 Color Me Happy is the perfect way to step back from the chaos of everyday life, color, and feel...happy! 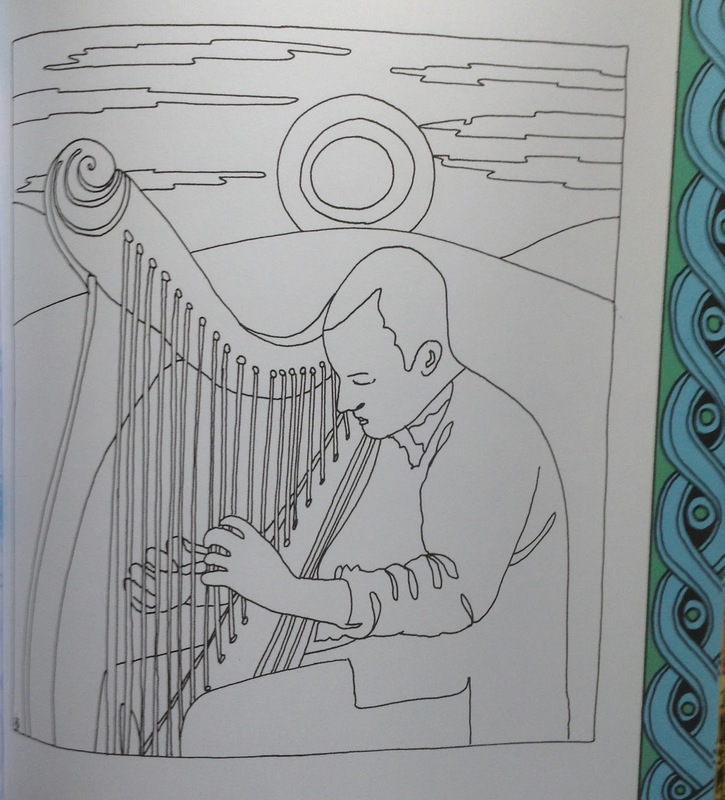 As with my review of Animal Kingdom by Millie Marotta, I really am at odds with myself about colouring this book. The pictures are not as detailed as the illustrations in Animal Kingdom, but many of them are still quite nice, if a little juvenile - they seem extremely cartoonish, almost as though they were illustrations for a child's book. I was diappointed that there is so much blank space in the book because of having a print that doesn't seem to be meant for colouring on the back of each page. Color Me Happy is set into chapters, with a description of what each chapter is supposed to represent or achieve. For example, the chapter on Music gives a description of the reasons we might listen to music, the emotions we may feel by listening, and the feelings we might have when we are colouring the pictures related to it. 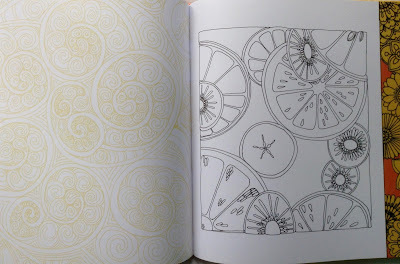 With 100 templates to colour, it is not a small book and it is printed on quality paper. I found it to be well designed, despite my thoughts that the pictures could have been spread over two pages rather than having what I consider to be wasted space on the opposite page.